In early spring, several forecast groups or organizations issue forecasts about activity in forthcoming Atlantic hurricane season. This year many of them hinted at a “slightly above” to “above” average season. June 1st is the official start of the Atlantic hurricane season though Subtropical storm Alberto gave us a May preview. Some of the early season forecasters have adjusted their forecasts to expectations for a “normal” season. What is the science behind why the experts changed their minds about the 2018 season? The answer may lie with the graphic below, but I will explain later. We anticipate that the 2018 Atlantic basin hurricane season will have slightly above- average activity. The current weak La Niña event appears likely to transition to neutral ENSO over the next several months, but at this point, we do not anticipate a significant El Niño event this summer/fall. The western tropical Atlantic is anomalously warm right now, while portions of the eastern tropical Atlantic and far North Atlantic are anomalously cool. Consequently, our Atlantic Multi-decadal Oscillation index is near its long-term average. We anticipate a slightly above-average probability for major hurricanes making landfall along the continental United States coastline and in the Caribbean. Specifically, they projected 14 named storms with 7 becoming hurricanes and 3 reaching major hurricane strength. Klotzbach and Brian McNoldy explained the thinking and caveats in the Washington Post Capital Weather Gang on April 5th. Hurricane activity in the Atlantic basin. The period of reliable data in the entire Atlantic basin (from 1966-2017) and in U.S. coastline (1900-2017). The Colorado State University group was not alone. NOAA’s Climate Prediction Center issued expectations for a 45% chance of an above normal season. 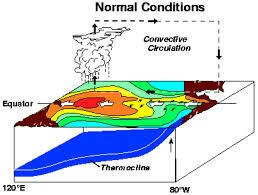 They specifically called for a 70% chance of 11 to 17 named storms with 5 to 9 becoming hurricanes, including 2 to 4 that would exceed Category 3 (major). The Weather Company, a unit of IBM, called for 12 named storms, 5 hurricanes, and 2 major storms. One major group called for a “below normal” season back in April. University College of London’s Tropical Storm Risk group issued prediction for 15% lower than normal activity and 25% below the average of the past decade. We have decreased our forecast and now believe that 2018 will have approximately average activity. While we still do not anticipate a significant El Niño during the 2018 Atlantic hurricane season, most of the North Atlantic has continued to anomalously cool over the past two months. The eastern and central tropical Atlantic is cooler than normal at present. We anticipate a near-average probability for major hurricanes making landfall along the United States coastline and in the Caribbean. NOAA’s lead seasonal forecaster Gerry Bell sums up the uncertainty with reporters, “There are no strong climate signals saying it’s going to be extremely active, like last year, or extremely weak.” Seasonal forecasting of hurricane activity can be tricky because so many ingredients go into the soup. The presence of El Nino (or not) affects global upper-level wind patterns that steer storms or cause wind shear (bad for hurricane development). 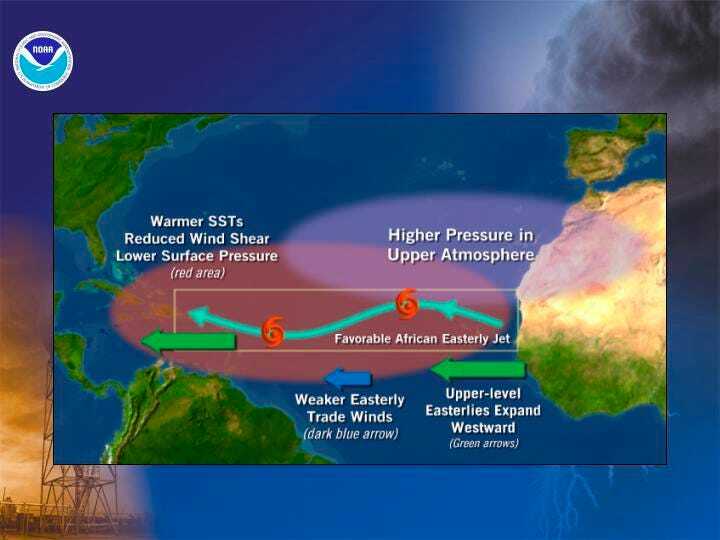 Other factors include rainfall activity in western Africa, the Madden-Julian Oscillation (a tropical system that propagates around the globe causing thunderstorm activity), ocean temperatures, and more. So how good are these seasonal forecasts anyhow? Dr. Phil Klotzbach published a paper in the American Geophysical Union journal Geophysical Research Letters assessing 25 years of seasonal hurricane forecasts. His main conclusion is that skill has been increasing over the years. The paper suggests room for more improvements as physical understanding of the systems increases and models are further refined. I will end with this. Irrespective of how many storms are predicted, it only takes one storm to cause a human tragedy. Good conditions for hurricane development in the Atlantic.